This Grammy and Brit Award winning Guitar God had his roots in Surrey, England where he first picked up a guitar at 13 years old. He learned guitar mainly by ear, listening to blues records on a portable tape recorder which helped him learn the songs until he could play them note for note. Aside from the mythical blues player Robert Johnson (Clapton’s ultimate musical idol), his playing style was shaped by other guitar greats such as reddie King, B.B. King, Albert King, Buddy Guy, and Hubert Sumlin. Clapton earned the ironic nickname “Slowhand” when the crowd would do a slow handclap when he needed to replace a broken string during his performances from his fast playing. Having played in legendary acts like the Cream and The Yardbirds, Clapton has been hailed as one of the greatest guitar players in history by no less than respected magazines like Time and Rolling Stone. Born in 1945, he started making a name for himself as early as 16 years old, having played with a handful notable blues acts around Kingston, Richmond and the West End. He had his first major gig with The Yardbirds in 1964 with the Yardbirds at the Royal Albert Hall, where he’d play for hundreds of more times over the decades. Yardbirds: during this time, he used such models such as a Fender Telecaster, a 1964 Cherry-Red Gibson ES-335 and a 1960 Gibson Les Paul guitar. Cream: he was mostly into playing Gibson guitars while playing for the group, the most famous of which was his 1964 Gibson SG. Clapton also had a 1957 ‘goldtop’ Gibson Les Paul (with a red finish) which he used when he recorded “While My Guitar Gently Weeps” with The Beatles. By the end of the 1960s, Clapton had crossed over to using Fender Stratocasters, the most famous of which is named “Blackie” that sold for almost a million US dollars for the Crossroads Centre for drug and alcohol addictions. While Clapton was still playing with the Yardbirds and before he did “Blues Breakers with Eric Clapton”, he usually paired his Fender Telecaster with a Vox AC30. But when he did “Blues Breakers” (and before he joined Cream), Clapton utilized his Gibson Les Paul (not a popular choice at the time) along with the 1965 Marshall Model 1962 combo amp with with KT66 output tubes. 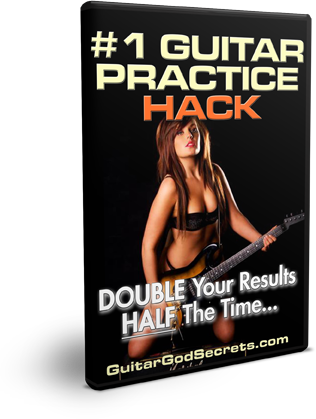 Guitarists call this a “fat tone” which is considered to be a classic. This album (which included the first ever Gibson/Marshall collaboration) helped pioneer the first Marshall amp which earned the name “Bluesbreaker”, making it the first of its kind. This 1966 album was also called “The Beano album” since the cover showed Clapton reading the said comics. By the time he was with Cream, often used two Marshall JMP100 Super Lead heads, along with driving two Marshall 4X12 stacks in combination with Celestion G12h 25-watt speakers. Along with this, he used a Vox Clyde McCoy Wah pedal. These were called his Gibson years when he was still using that brand. Clapton came up with the Woman Tone while he was playing for Cream (check out tracks from the era like “Outside Woman Blues” and “Sunshine of Your Love to get a better idea). “I Feel Free” is another song which showcases this unique sound – the solo features the Woman Tone with a sudden shift of tone by the time Clapton wraps up the solo, giving an edge to this particular bit. It’s described as a thick, sustaining, “whining noise” which is done by downplaying high frequencies, switching off the tone for the pickups and cranking up the pickup volumes. It helped punctuate certain sections of his playing and make it more memorable. Another fine example of the Woman Tone is the classic Beatles track “While My Guitar Gently Weeps” from their eponymous double album (also known as The White Album) in 1968. It was Clapton’s good friend George Harrison who brought him in to provide the missing piece of the musical puzzle with his monumental solo. Thanks to his trusty 1957 Gibson Les Paul and dexterous fingers, he did, indeed, make his guitar weep. Another aspect of Clapton’s Woman Tone is his phrasing which involves him varying his pick attack. He does this as he’s playing to help him manage the overdrive with just his fingers. This is easier said than done, which is why Clapton is revered as a Guitar God. During his Cream days, Clapton often used two Marshall JMP100 Super Lead heads, along with driving two Marshall 4X12 stacks in combination with Celestion G12h 25-watt speakers. Along with this, he used a Vox Clyde McCoy Wah pedal. These were called his Gibson years when he was still using that brand. The 100W Marshall stack was made out of necessity – guitarists needed more juice for their live sets since the PA systems in the 60s lacked the kick they wanted. So guitarists like Clapton needed amps to give audiences a proper earful at big concerts. Sadly, this was when his Les Paul got stolen, but this unfortunate incident was instrumental in Clapton switching to his cherry red 1964 Gibson ES-335TDC (a.k.a. Cream Guitar) and the custom-painted, psychedelic-inspired 1964 Gibson SG (a.k.a. The Fool). Thanks to these classic axes along with his aforementioned stack, it gave birth to the Woman Tone. During his 1994 recording of “From The Cradle”, Clapton had Mike Soldano make him a SLO 100s amp with the usual settings: Normal – Preamp: 8 Overdrive – Preamp: 3 Bass: 11 Middle: 11 Treble: 3 Normal Volume – Master: 10 Overdrive Volume – Master: 7 Presence: 4. One of Clapton’s greatest solos is from 1967’s Disraeli Gears, the classic Cream album which features “Sunshine of Your Love.” As we said about the Woman Tone – as evidenced in the song’s solo – it was an elusive sound that many have tried to emulate over the years. With careful tweaking, the result was a delicate balance of distortion and precision which made the solo the classic that it is. Being the 60s and all, expanding one’s mind with the help of certain substances was all the rage, especially in the rock and roll scene. 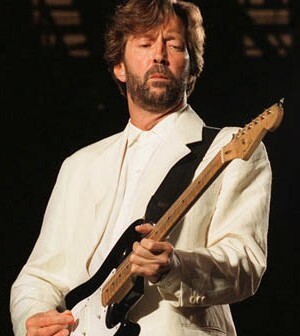 Thus, Clapton came up with the appropriately titled “Cocaine”, which details the pitfalls of abusing the said product. Aside from the provocative lyrical content, the other noteworthy part of the song of course, is the main riff (in E) which gives way to the solo. Clapton makes this bit memorable thanks to the second overdubbed solo which comes in halfway, then a nice outro to finish things off. The song “Layla” (from Layla and Other Assorted Love Songs in 1970) is a milestone in Clapton’s career, featuring him going head-to-head with Duane Allman in an epic solo. Aside from the solo track, there are other guitar tracks in this beast of a song, including Clapton on rhythm and harmonizing with the main riff. The most poignant part of “Crossroads” (from Cream’s 1968 “Wheels of Fire” album) is the second guitar solo. It contains a muscular blend of blues and rock “riff-off” with Clapton’s trademark creamy tone, making it a fine example of his Cream-era Gibson/Marshall combo that allowed him to create a sustain thanks to his impeccable vibrato technique. This is another trick which has earned Clapton his rightful place as one of the Guitar Gods.